Originally from the North Shore in Vancouver, Canada, and now based in Hong Kong since 1998, award-winning photographer Ron Yue travels widely to capture the inspiring image. His work has taken him throughout much of Asia to some of the most intriguing places. 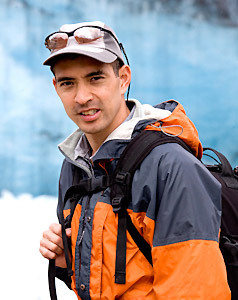 Initially trained as a chartered accountant, he now uses his diverse photography skills and outdoor experience to produce spectacular photographs for his clients. He has photographed in locations ranging from the torrid heat of Death Valley to Alaska’s frozen tundra, from the jungles of southeast Asia to the Tibetan plateau, and from executive boardrooms to the pinnacle of China’s skyscrapers. Many of Ron’s images are built around spectacular environments, captured at their peak moments, often incorporating authentic, local people in their native life surroundings. The images frequently blur the division between the dramatic, nostalgic, and the serene. His photographs are regularly found in major electronic and printed media around the world. He has photographed for the National Geographic Channel on projects in Vietnam and Hong Kong, and he spent two months traveling through remote areas of Tibet and across numerous provinces in China on a documentary assignment for Nokia. His work has also been featured as part of a documentary program for CCTV. Ron has conducted inspiring lectures to audiences throughout Asia, and he has instructed at international schools and accreditation programs. He is a guest lecturer for Nikon. He produces images for commercial and corporate clients, editorials, and travel and documentary features primarily in the Asia region. Ron has worked extensively throughout China and leads unique small group photographic journeys into the fascinating and pristine regions of western Sichuan and Yunnan provinces as well as Tibet.